The question comes up every year — what do you get the person who has everything? We suggest you ditch the idea of an item and look into one of the many fantastic experiences you can find right here in New Hampshire. Foodies will love learning a few tricks of the trade from professional chefs. Why not give the gift of cooking lessons? Berrybogg walks students through preparing dishes ranging from orange mascarpone brunch rolls and Champagne syllabub to pavlova roll with fruit and meringue tips. Classes are limited to 12 people, and focus on using fresh, local ingredients in the recipes. Past class offerings have included sushi making, vegetarian ideas, Thanksgiving dishes, soups, desserts, cocktails, clean eating, flavors of Spain and much more. Private classes are also a possibility. One major upside to this school? It’s located at the gorgeous, cozy Bernerhof Inn Bed and Breakfast. Classes here range from professional training over multiple weeks to fun Couples Night Out classes perfect for a date night. They also offer cooking essentials and food fundamentals for the true beginner chef. A hands-on bed and breakfast cooking school class followed by a three-course dinner with wine. Classes are on Monday evenings. Liz is all about healthy (and always delicious) cooking and in addition to cooking demonstrations for groups you can also book a private in-home lesson. Not sure what kind of beer or wine to get your friends? Let them make their own at IncrediBBREW/Grape Time Winery in Nashua. If you know someone who's an at-home brewing enthusiast, here's a nice roundup of New Hampshire's homebrewing supply stores. Give the outdoorsy person on your list the gift of zooming through the forest high above the ground. Features award-winning zip line tours, among other adventures, all year long. Experience the White Mountains at speeds reaching 30 mph on nine zip lines that range from 120 to 830 feet in length for a total of a 1,000-foot decent. ZipTour Zip Lines: Soar from peak to peak — over 1.5 miles — on the longest zip line canopy tour in the continental United States. Classes are held at several locations throughout the state. Give a gift certificate for one of several classes held throughout the spring, summer and early fall, and the recipient will get unbiased advice on selecting equipment, learning where to cast, when to cast, how to cast and how to select flies and read the water, among many other details. White water rafting, aerial adventures (including some overnight and weekend trips) and more will satisfy the adrenaline junky who loves spending time in nature. For those who want to skip the thrill-seeking, they also offer wildlife tours, fishing excursions, canoe or kayak rentals, yurts and other fun outdoorsy pursuits. Private lessons are the fastest, safest and easiest way to learn how to surf. Students are fitted with a wetsuit and board and are shown how to time waves, develop balance and strength, and how to paddle, stand up, turn and ride down the line. Stand-up paddleboard lessons are also available. Their boat building classes give participants a chance to create their own craft. Recent sessions have allowed students to build a canoe, a kayak, a Bevin’s skiff, a paddleboard or an Optimist sailboat dinghy. At the end of each 10 day session, a special launching is held on Lake Wentworth to celebrate the completion of the project. Prices vary depending on what boat is built. Any would-be Katniss or Peeta can live out their Hunger Games dream by learning the sport of archery — taught by the high-level coaches at Archery in Motion. Take a few lessons and start dropping arrows into the gold like a pro. If the adrenaline rush is appealing but the plummeting part leaves you cold, consider SkyVenture New Hampshire, where thrillists can experience the thrill of flight in a perfectly safe indoor wind tunnel. Get up-close-and-personal with these majestic birds at the NH School of Falconry. This Federally licensed falconry school is available for demonstrations and/or classes. Stables and resorts around the state offer horseback riding, which is a great way to experience New Hampshire’s varied scenery from a new perspective. A great place for experienced riders and beginners alike. Try one of their fantastic sunset rides offered on Fridays. Ride thorough the historic – and picturesque – wooded acres at the mountaintop estate of Castle in the Clouds. 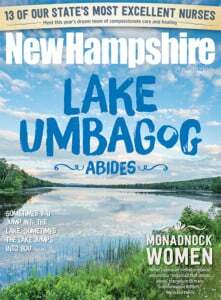 Take a scenic trip through the Monadnock area. This 100 acre farm offers trail rides, pony rides and specializes in beginners. Gorgeous scenery awaits. Private or group trail rides are offered plus activities for children. No need to head to Boston or New York for great shows. Each of these venues regularly hosts everything from nationally known stars to local theater. This historic cultural center is a jewel of the North Country. They offer both movies and live performances. Grab dinner and a show at this venue run by the Common Man Family of Restaurants. Another gorgeous historic theater where you can see shows that range from best-selling author talks and opera to comics and concerts. For a more intimate venue try the Music Hall’s Loft located on Congress Street. This beautiful theater is both historic and quaint. See why people have been traveling to Hanover Street for more than 100 years. Great music in a fun, relaxed and intimate atmosphere. Everything from music and comedy to movies and local acts. Trendy paintbars are all the rage in New Hampshire. During sessions you eat, drink wine or beer and socialize while an instructor helps you create a work of art. Grab your spouse or a friend and enjoy a night painting the town (with a paintbrush and glass of red). They offer date night clay classes, stain glass workshops, family events and much more. Who hasn’t dreamed of ripping into a face-melting guitar solo in front of a stadium full of adoring fans? Get one step closer to living that rock star dream by actually learning how to play. Northstar Music Center has a thriving lesson and performance program that’ll get even the inexperienced beginner strumming in no time. Wardrobe is fitted, lines are memorized and the curtain is opening — time to break a leg. Acting lessons at the Majestic Theatre will provide aspiring thespians with the thrill of a dramatic production, guided by experienced and trained actors.